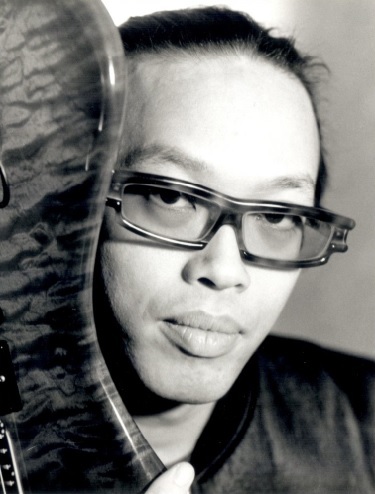 Guitarist Nguyên Lê, born in Paris to Vietnamese parents, embodies the exotic multi-cultural mosaic fueling the vibrant jazz and world music scenes flourishing in the French capital. A self-taught musician, majored in Philosophy & Visual Arts, Lê has developed a distinctive sound that draws upon rock, funk and jazz as well as traditional Algerian, Indian and Vietnamese styles. Since 1989 Lê has released 16 albums, including Miracles with American jazz greats Peter Erskine, Marc Johnson and Art Lande, Tales from Viêt-Nam (1996) on which he explores and celebrates his roots, the North African flavored Maghreb & Friends (1998), Purple (2002), a CD about Jimi Hendrix, which has sold 25 000 copies to date. Lê's latest releases are Songs of Freedom, an exotic and eccentric rendition of pop hits from the 1970s - a "masterpiece" according to the French press - and The Dark Side of the Moon, a Pink Floyd tribute with the NDR Bigband and Michael Gibbs. Lê has received many awards, including Django d'Or in 2006, Chevalier des Arts & des Lettres and Best Musician of the Year in France 2011, Man of the Year 2013 & Best Show of 2014 in Vietnam. Lê has collaborated with leading jazz musicians in Europe and in the USA, including Michel Portal, Miroslav Vitous, Vince Mendoza, Uri Caine, Gil Evans, Quincy Jones, Ornette Coleman, Ray Charles, Hariprasad Chaurasia and Herbie Hancock. Through all his projects, Lê carries some of the most compelling World Jazz fusion created to date, and establishes himself as one of the most inventive guitarists/composers of today.